There are many reasons why physical therapy may be beneficial for you. Some people seek Physical Therapy on their Doctor's advice, while others arrive as a result of long journey searching for someone that will help them to relieve chronic pain, recover from an injury, restore strength, improve range of motion or reduce stiffness. It is also useful for treating headaches. Chronic headache sufferers, as those with scoliosis, sciatica, or uneven shoulders, hips, or legs will likely experience lasting pain relief and improved muscle strength and flexibility through physical therapy. Physical therapy can often serve as an alternative to back surgery. The human skeleton is interconnected by a network of bones, muscles, nerves, fascia and tendons, all of which work together to provide movement. When something goes awry with this system, it often results in excruciating pain. Physical therapy can strengthen the back. We will select exercises that strengthen specific muscles and work to align bones and joints naturally through manual therapy. Physical therapy is also useful after back or neck surgery. If can literally be the difference between a successful and a failed surgery. Physical therapy not only helps patients regain their strength, it is also effective for treating pain, reducing the chance of internal scar tissue, and limiting the chance of injuring the spine again. Patients who undergo breast surgery will also benefit from a physical therapy program. Breast surgeries, such as mastectomies, can leave painful adhesions and scarring. Arm and shoulder movements may be difficult. The surgery can cause shoulder joint dysfunction which can lead to improper joint use, causing the joint to contract or tendonitis to develop. The results are pain, muscle spasms, immobility and the loss of range of motion. We will evaluate the areas of tension or restricted mobility and help you restore your mobility, range of motion, flexibility, strength, and endurance. Whether you're recovering after a mastectomy or a lumpectomy, or are a longtime breast cancer survivor, we have a program designed for you. Kelly Toler, PT is a Vodder Certified Manual Lymphatic Drainage Therapist and Reiki Master at Progressive Therapy Services in Bow, New Hampshire. She has extensive experience with breast cancer and similar diagnoses involving muscle injury, swelling and lymphedema. She has helped many breast cancer survivors return to a normal life, utilizing physical therapy and Reiki treatments to help improve balance, reduce stress, etc. An athlete suffering from a sports injury may be treated effectively using physical therapy, which can speed up the recovery dramatically. 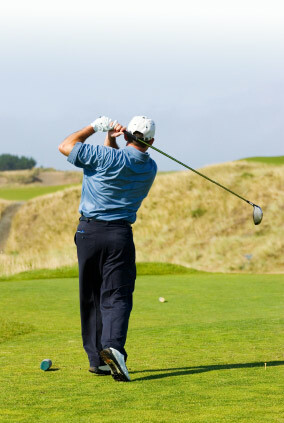 We have helped athletes with tennis elbow, golfer's elbow, plantar fasciitis and many other sports injuries. We use the most effective hands-on manual therapy techniques and functional rehabilitation techniques to get better results. Whatever the motivation, physical therapy helps to restore maximum functional ability, speeds recovery time, reduces the likelihood of recurrence and improves overall health. See the conditions we treat with physical therapy. HOME | SITE MAP | NH Physical Therapy Services | Copyright © 2019 Crimson Designs. All rights reserved.